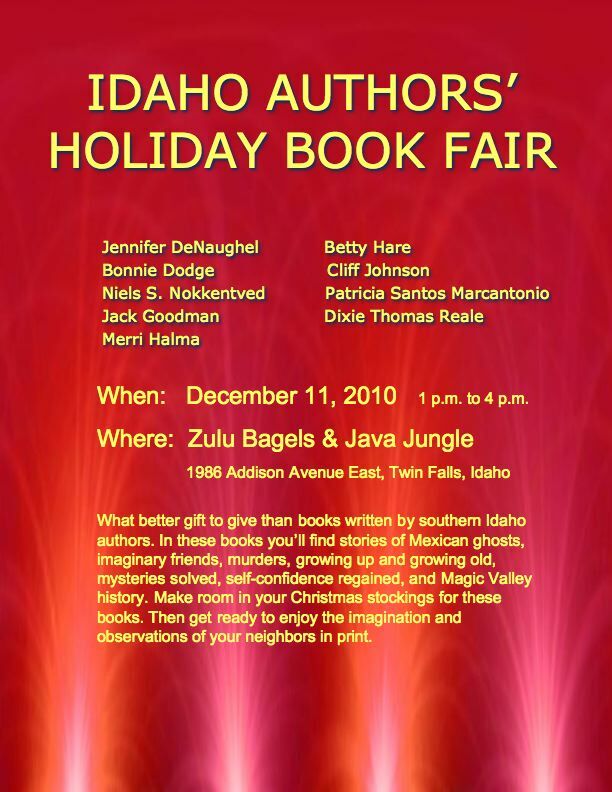 I’ll be joining writers Patricia Santos Marcantonio, Dixie Thomas Reale, Jennifer DeNaughel, Betty Hare, Cliff Johnson, Niels S. Nokkentved, Jack Goodman, and Merri Halma at a holiday book fair December 11, 2010, 1 p.m. to 4 p.m. at Zulu Bagels & Java Jungle, 1986 Addison Avenue East, Twin Falls, Idaho. Stop by, say hello, and support these local authors. Our books will make great stocking stuffers. This entry was posted in Appearances, Events, year 2010 archives. So, What Have You Published?